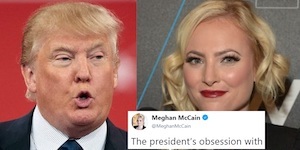 The late Senator’s daughter unleashed her harshest words yet towards her own party’s president. Take Action: Add your name to call for the 25th Amendment to be used to remove Trump from office! The president started out calling for unity but immediately let the mask slip. Take Action: Demand McConnell allow a vote on the bipartisan bill to stop Trump from firing Special Counsel Mueller! 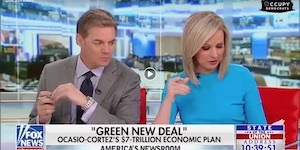 The Republican propagandists came off looking like fools for an argument that even a kidergartener could debunk. Before the Republican president’s big speech even began, he was already starting to melt down. 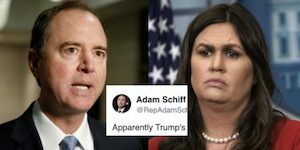 The president’s spokeswoman tried to cover up his corruption but Adam Schiff shot her down. The president’s right-hand woman got more than she bargained for when confronted by the NPR host. An Australian reporter returned to the US after a trip to the UK — and was horrified by his reception. Last month, Trump’s stunt to build his racist border wall backfired and cost our economy an estimated $11 billion. Ladies and gentlemen, the art of the deal! We are nine days from the next deadline, for Congress and Trump to extend or finalize funding. Congress is now in Conference Committee, a bipartisan group of members from both the House and the Senate working to create one single compromise funding bill that can pass both chambers. What this means: our fight against the border wall isn’t over. Call or email your Members of Congress today. Thank Democrats (except Joe Manchin) for their heroic efforts last month, and urge them to stand firm now against Trump’s wall. Tell Republicans you don’t want Trump’s $5.7 billion xenophobic campaign promise – and neither do 6 in 10 Americans. 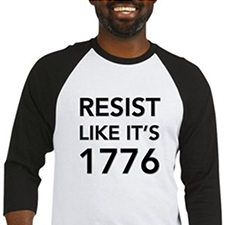 And while you’re on the phone, tell your MoC’s to cosponsor legislation preventing Trump from using an emergency declaration to build his stupid wall. Trump and the GOP held our government, national parks, the science community, and the livelihoods of 800,000 federal workers hostage for 35 days – and watched those workers struggle at food banks while they collected their own paychecks – until they finally caved to public pressure. We’ve fought long battles before, and we’re not backing down on stopping the border wall or any of Trump’s other violent tactics at the border. Trump and his cronies can’t afford another stunt like they pulled this past month and will want a fast resolution to the budget this time — which is why Democrats absolutely must stand their ground against Trump’s demands. Email or call (202.224.3121) your Members of Congress. Tell Democrats (except Joe Manchin) you appreciated their courage last month, and tell them you’ve got their backs now to block Trump’s border policy. Tell Republicans that the people have made their feelings clear on the border wall, and it’s time for the GOP to listen. 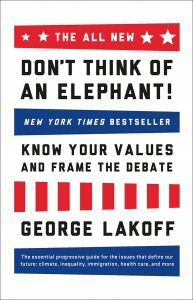 PS — Please don’t forget to sign the petition calling for domestic abusers to be forced to turn over their guns, and check out the brilliant “Don’t Think of an Elephant” by George Lakoff — a quick read that contains the ultimate keys for Democrats to win elections — and arguments.